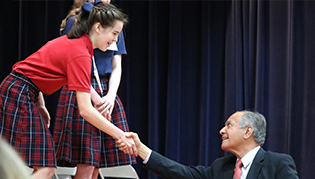 Thank you for considering Incarnate Word Academy. 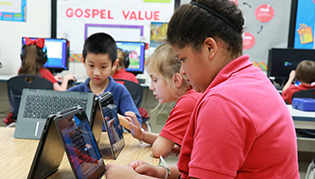 Incarnate Word Academy utilizes FACTS Grant and Aid Assessment to enable distribution of tuition assistance dollars objectively and equitably. The application process for IWA tuition assistance has two main components. Step 1: Gather necessary documents including 2018 tax return and copies of W2's. Step 2: File for assistance online with FACTS Grant and Aid Assessment. A nonrefundable fee of $35 will be required for processing. Tuition assistance is awarded based on eligibility as long as it is still available. Applications for tuition assistance for the 2019-2020 school year may be submitted after January 14, 2019. Families will be notified by mail within 10 days receipt of a completed application and student acceptance to IWA. Enrollment must be completed in order to remain eligible for tuition assistance. Please note that only completed applications with the required supporting information will be considered by the Tuition Assistance Review Committee. There are no guarantees that tuition assistance will be awarded and it is based on need and availability. It is essential that parents/guardians provide accurate and complete information. Only applications submitted with all questions completed and documents provided will be considered. Applications for tuition assistance may be submitted after the prospective student has completed the online enrollment application to the school level. 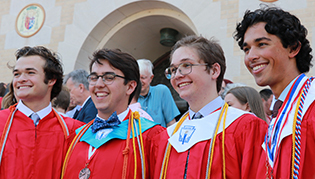 Returning families previously receiving tuition assistance, will receive a letter with a range of projected tuition assistance (based on their previous application) for the upcoming school year. The FACTS Grant and Aid Assessment information must still be completed before an actual offer of tuition assistance will be made. Please keep in mind that your account must be current at the end of the 2018-2019 school year. If a returning recipient’s account is not current by the beginning of the upcoming school year, tuition assistance will be withdrawn. Accounts Manager Debbie Diegel at 883-0857, ext. 174 or diegeld@iwacc.org. Click here to learn about Tuition Information.